I go through phases where I discover something new and love it! And since I love it, I thought some of you might like it too. 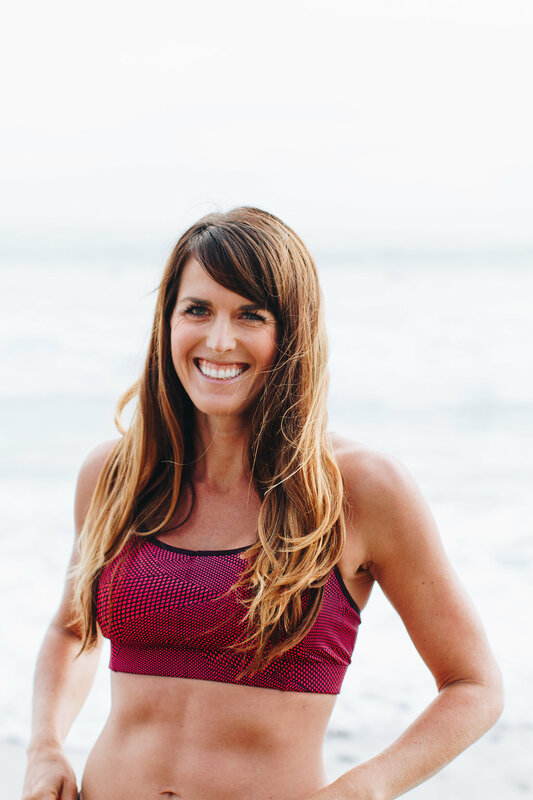 No one paid me or gave me free stuff (although I am an ambassador for Oiselle, but I just genuinely like their stuff which is why I’m an ambassador <duh> )…I just really love these things! Avocado Toast. I don’t know where this delicious snack and/or breakfast has been all my life. Right under my nose of course since our kitchen is always stocked with avocados and bread. 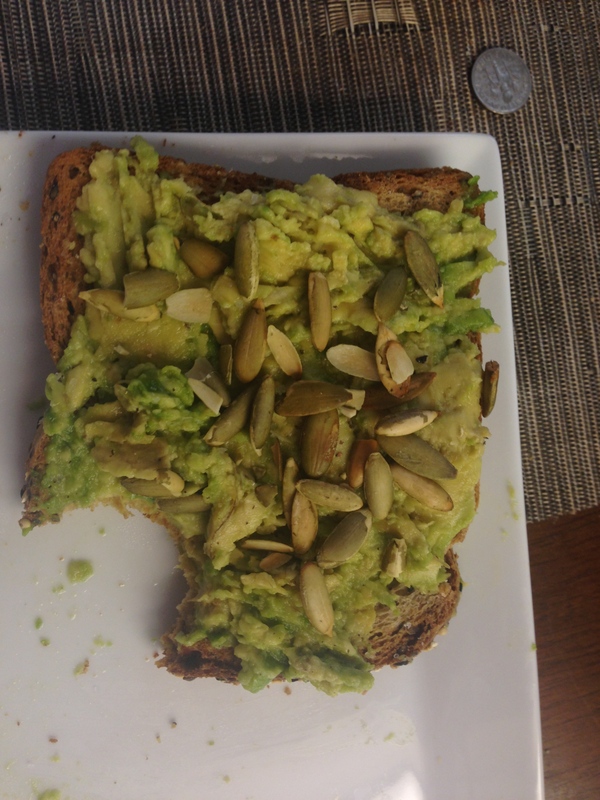 The recipe: take a piece of toast (we have recently been buying organic whole grain chia seed bread from Costco) and add 1/4 of a ripe, mashed avocado on top. Sprinkle with salt, pepper and if you’re really gourmet, pepitas (pumpkin seeds). I have been eating this snack whenever I can since I discovered it. I’ve found it’s also a great pre-long run breakfast too! Oiselle Distance Short. I have two pairs of these babies – Black and Fresh Green and I’ve been living in them. San Diego has been HOT lately and all I want to wear when I run is these shorts. They are light, don’t ride up when I run and have two deceptively large pockets (which zip!!!). And of course they’re flattering. 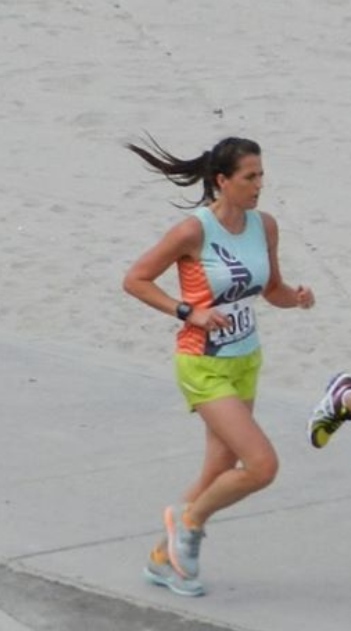 Oiselle Distance Short in action! Orange is the New Black. An amazing Netflix Original Show about a blonde white girl from an upper middle class family who has to go to prison to serve 14 months due to a crime she committed when she was in her early twenties (and also a lesbian at the time). It’s just the right mix of crude, funny, and relatable and is a totally original plot line. I’m hooked! It’s perfect for hours logged on the trainer. Carla Lee’s Nut Balls. Mike and I discovered Nutzo products when the owner did a tasting at our local Whole Foods. 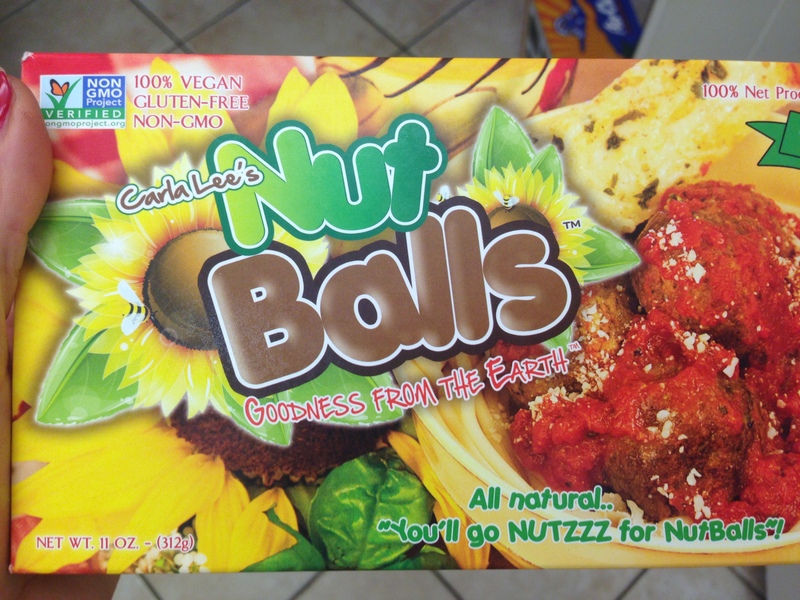 Nutzo makes tacos, burgers and “meat” balls from nuts and brown rice. For a “processed food” there aren’t too many ingredients and all of their products are delicious, vegan, non GMO, Gluten Free (if you’re into that) and do NOT contain soy. The tacos and the nut balls are particularly amazing. Mike literally has told me he thinks our pasta with nut balls are better than many meals we ate in Italy (Italians are going to cringe at that statement). Iron War. 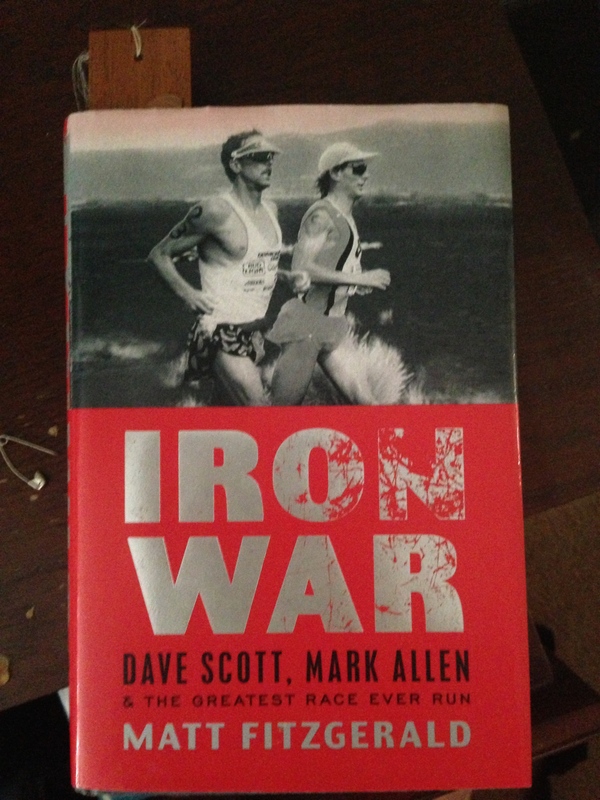 I’ve been out of the triathlon world for a while but now that I’m reading Iron War, which revolves around the epic endurance battle between professional triathletes Mark Allen and Dave Scott at the 1989 Ironman World Championship, I’m all fired up to get back out there and train hard for triathlon. The book does an amazing job of describing how each of these two incredible men came to find themselves running side by side in the final miles of the triathlon sport’s most famous 140.6 mile duel. Even better, I can’t remember who actually won the race despite hearing the story several times ( DON’T TELL ME!) which makes the book even more exciting. What are you excited about right now? Are you crazy about any of my five favorite things or interested in trying any of them? Stealing your snack right off of your blog right now. That looks totally amazing! Great post! I’m actually reading “Orange is the New Black” right now, then I’ll check out the show. Thanks for the avocado toast recipe, I can’t wait to try it! I’m loving upper body weight training right now since I ruptured my plantaris tendon last week, so it’s something I can do for a couple of weeks ’til I can run again. I love upper body strength too ! And I didn’t even realize its was a book! Oh, that book would be awesome! I may have to pick it up! Are you putting any tris on your calendar for next year, or any more for this year?! I loved Orange is the New Black and binged on it hard last year; I can’t wait for season two to come out. I have the book but haven’t read it yet. Right now I’m excited about spring/summer workout clothes! I just pulled it out of my bin and put my winter clothes away! I’m doing a sprint in July and that’s it for this year! I too am obsessed with avocado toast. For breakfast, adding a over medium egg to it is pretty amazing too 🙂 I also love the distance shorts! I really want them in brill blue but they have been sold out of my size for awhile now! That avocado toast looks AMAZING! I have to try it! It would probably taste even more delish with some cheddar cheese melted on there.. just saying;) I am also obsessed with my Oiselle distance shorts.. I have fresh green and bright red! They are so comfortable and cute! Thank you for the Orange is the New Black suggestion. 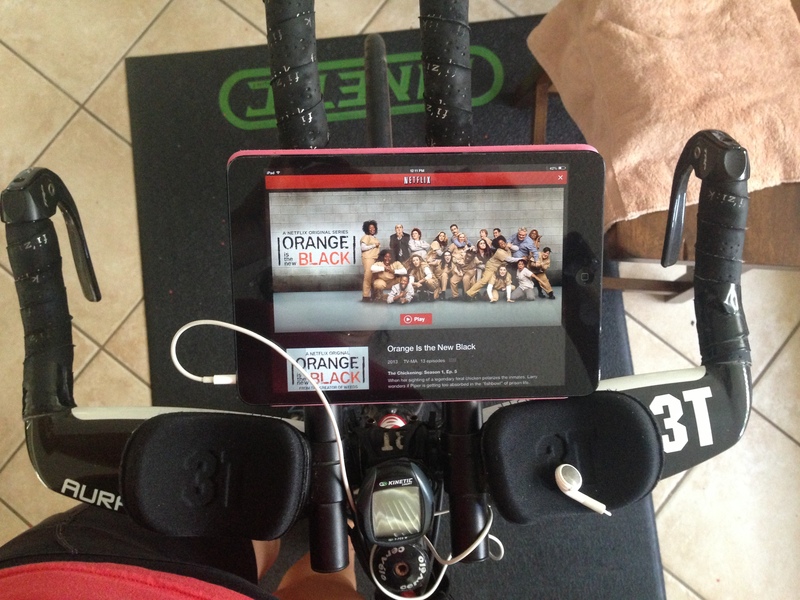 I’ve been looking for a new show to watch on the trainer, and this might be the ticket! You know I’m loving my Oiselle shorts you recommended! Not sure on those Nut Balls but with a Celiac in the house they are worth a shot. Oh and the avocado toast looks AMAZING. That’s a definite must try for me. I love avocado on toast!! I have been dying to read Iron War. I should really read it right now. It could probably give me the last boast of confidence I need for my IM!! I have lots of Oiselle items. I am not into shorts but love their capris! I am also dying to get Netflex so I can watch Orange is the New Black! Great list!